On a day when crypto prices traded sideways, with little change in valuation to start the second month of the year, two of cryptocurrency’s more popular wallets have reported experiencing phishing attacks. According to tweets and Reddit reports which surfaced on February 4, both Electrum and MyEtherWallet users came under attack by a phishing scheme. According to the posts, a fake error report is being circulated prompting Electrum users to download a security update in order to fix the issue. However, as users were quick to catch on to, the misleading GitHub link is a ploy to install a compromised version of the Electrum wallet, thereby allowing the hacker access to their stored coins. Community members have recommended following a process of reporting suspicious users and security update activity through GitHub. In the above example, the user perpetuating the fake Electrum security update has already had two accounts banned in the last four weeks. However, as another Reddit user pointed out, there may be over a hundred associated accounts, making the effort to identify and close them all a difficult task. Phishing schemes, which have become increasingly popular with the widespread advent of email and shared digital data, have become more than a nuisance for cryptocurrency investors. 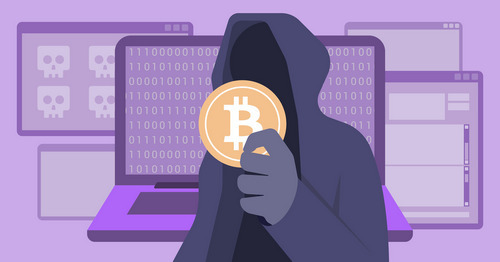 Back in December 2018, EWN reported on Electrum wallet users experiencing a separate bout of phishing attacks, during which a hacker or group of hackers stole over 200 BTC valued at the time at nearly $1 million. We will post any relevant security warnings here on Twitter, but MEW itself does not hold ANY data on users, so we can’t have a data breach. Cheers! Electrum recommended that users not download updates for the wallet or service anywhere other than their official website, and has since started publishing a message similar to that of the phishing attack directing affected users to electrum.org as opposed to the GitHub links.